Lazio, centered around the middle of Italy is a region split between two worlds – the Italy of the North, a prosperous industrial area bordered by the alps, where the climate is fairly hot, yet beset by cloud and rainfall, and the Italy of the South, hot and at times desolate. Both North and South are famed for their food, whilst their wines are respectively becoming more and more appreciated the world over. Home to Rome, Lazio is afforded a special status, though is not as famed for its food as Tuscany – just North of Rome, or Napoli, south of Lazio. However, Lazio being in Italy, and, what’s more, being home to the capital, has an impressive culinary tradition characterized by its Porchetta (pork roasted with herbs), Fettucine cheese dishes, Abbacchio (young lamb) and simple pasta dishes such as Carbonara. These heavy protein and starch rich foods have benefited over the years from being accompanied by light yet sharp table wines. Such wine can still be bought in Osterie, small and humble eating houses for as little as 4 Euro’s for a litres bottle and where the pasta dishes are similarly priced. Of course, when in Rome the food that is served is generally local, as is the wine. Lazio wine is a good reliable wine to drink with food, and is equally good for glugging without food, although Italians would rarely never do such a thing: Shocking as it sounds, the inhabitants of third biggest wine producing nation in the world are not known for their ability to drink. Or rather, in total contrast to the Britons, French, Germans and Scandinavians, they can drink, but they prefer not to drink too much. Those Italians that do really have an appreciation for wine tend to be most satisfied by those that perfectly exemplify the style of grape that the wine is predominantly made with and which can therefore be carefully matched to traditional dishes. The Italians make wine with a wide range of grapes, some little known outside of Italy, some classics such as Chardonnay, Merlot and Cabernet Sauvignon (the latter of which are successfully grow in the Lazio region). In all cases there is no such thing as a wine made or advertised as ideal for ‘drinking on its own’. The idea just wouldn’t occur even to the young people of Lazio, who have in recent years developed a trend new to Italy – the ‘apertivo’ – a glass of wine enjoyed with a light snack at around 7pm, with both food and drink being included in one single price – around 3 to 7 euros on average. In Lazio this assures the steady consumption of local wines that might otherwise be considered as passé now that Italy’s wine reputation is growing and may producers are trying to vie, with varying success, with the French for dominance in the global quality wine market. In Lazio the two main grapes used are Malvasia and Trebbiano, both of which are white grapes, both characteristically sharp and dry, and both used to make the Castelli Romani wines that are becoming popular as more affordable wines in the UK (retailing for around £5 a bottle), where Italian wine is taking off at long last, but where prices are often verging on the obscene for anything half decent. Also reasonably priced, though not so commonly sold in the UK, is the wine of local legend ‘Est! Est! Est!’ According to one local the curious name of this wine came about in the following way: “In 1111 a German bishop (Johann De fugger), travelling around the Roma's countryside, sent his faithfull servant -Martinus- to taste wines in every village before he arrived. The agreement was that Martinus had to write on the door of every cantina (or small vineyard) ‘Est!’ ( meaning, ‘there is!’) if they stocked good wine, and ‘Est! Est!’ if there was very good wine – ‘There is! There is!’. When Martinus arrived at a place called Montefiascone, he wrote ‘Est!Est!Est!’’” There the legend was born, and the local wine was marketed (or so they say) under this name ever after. Est!Est!Est! is best consumed when it is young (within a year) and goes well with light foods. It is made with Trebbiano and Malvasia grapes and is a light wine, yellow in colour and relatively mild in content at 11 per cent volume. Another well known wine from the Lazio region is Frascati DOC, which hails from a small town of the same name located in the Castelli Romani area. Made from Malvasia, Greco and Trebbiano grapes, Frascati comes in sweet and dry varieties and bears a mild acidity. Frascati is traditionally served in ‘Frascette’ – small taverns in the Castelli Romani area where the drink is served with fresh mozzarella and cuts of local quality meats. Towns all round the Catselli Romani area serve their own variation on what is a central simple theme – simple light white wines. Those carrying a DOC appellation label are certified as the best, although it is possible to find a good quality non-DOC wine, it juts means that it is not made to stringent guidelines governing its production and taste. Examples to try include Marino DOC, Colli Albani DOC, Genzano DOC, Velletri DOC, and so on – all wines come from a town of the same name. Tasting tours may be arranged in local wineries, and producers will usually be willing to accommodate any queries: Many small producers sell produce straight from the vineyard, and this can prove a very cheap way to buy, especially in bulk. Lazio also produces a small proportion of red one, most famously ruby coloured Vignanello. At 11 per cent volume and rich in taste, being made from the Sangiovese and Ciliegiolo (Cherry) grapes, it has a complex state which improves with age up to about 4 years after being bottled. Mater Matutua (named after a Roman Goddess) is also an excellent red wine, produced by the respected Casale de Giglio estate. It has a well rounded taste and is ripened in its barrel for 22-24 months prior to being aged a further 6-8 months in its bottle prior to distribution and sale. 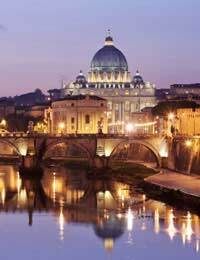 For the wine and food lover, Lazio, an area overlooked on those terms, perhaps due to the outstanding historical and cultural importance of province’s principal city, Rome, provides more than enough to keep them satisfied on a weekend, week long, or even longer stay.